So I work for a small African non-profit. I do all the GIS and data work. 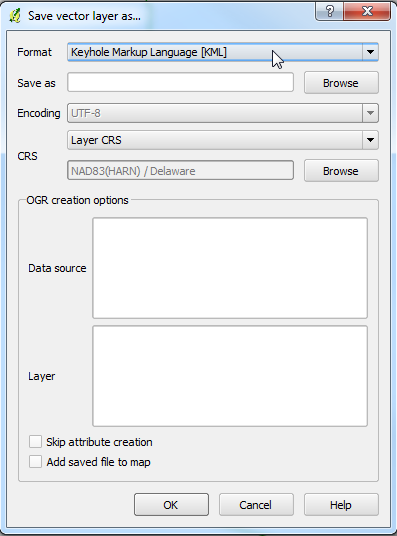 Most of the layers I create, I convert to kml layers so my boss can then use them quickly and easily in Google Earth. But now in the last months my shp2kml program says its license is expired and to download the newer version. I've downloaded the most up to date version I can find which isn't that new Feb 2011 and I'm still getting the same error. Anyone know another freeware program that does the same thing or know a way around this or to get a more up to date version of shp2kml. My operating system is windows 7 and i'm using QGIS 1.8.0. The non-profit can't afford Google Earth Pro edition. I need free or practically free solutions. Thanks for your help. I was able to reach the author of Shp2kml 14 September 2014 and reported the problem with the "The the license for this tool has expired" message (something I first ran into several months ago). On 15 September 2014, he uploaded a newer version of the file and the expired license error no longer exists. Index result for "SITE_NAME" too long, > 100 characters (254). I'm not sure why that happened. Of the 179 rows of data (not including the attribute name/headers), the longest value in the "SITE_NAME" attribute is 83 characters. I reported that problem to the author this morning and am waiting to hear back from him. Resetting the date works fine but don't do it on your good computer as it seems to mess up anti virus etc, use an old spare if you have one then save the kml file across. I just tried QGIS for the first time and once you get the hang of it works really well. You can still use Shp2kml! How you ask? Just set your computer's date back (I use January 1/1/2011). When you are done use the tool just change your computer's date back to today. Sweet work around. Not the answer you're looking for? Browse other questions tagged qgis kml google-earth or ask your own question. Using Google Earth imagery data for portable solution?